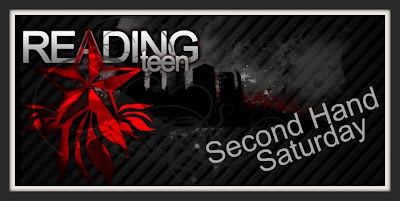 Google+ Reading Teen: Reading Teen's Second Hand Saturday #50 FREAKIN 9!!!!!! Reading Teen's Second Hand Saturday #50 FREAKIN 9!!!!!! What does Andye have in her hair??? Hint: It looks like licorice! 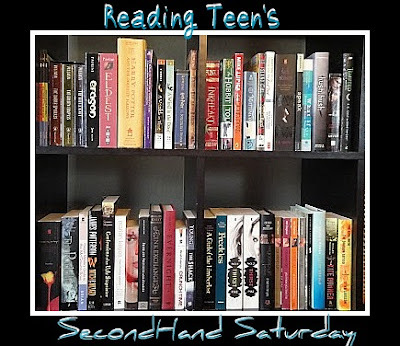 What is Second Hand Saturday? YOU MUST BE A FOLLOWER TO ENTER! Open Internationally. Ends at 10:00 pm EST the following Friday! It looks like a skinny braid dyed pink. Ohhh, Andye has one of those feathers in her hair (a pink one) that everyone seems to be getting now (the 2000s version of the 1990s thread wrapping, perhaps?). A friend has a white one and a purple one, they're interesting. Anyde has a feather in her hair. Please count me in on Second hand Saturdays. Thanks! Andye has a pink feather in her hair! She has pink in her hair that looks like licorice. Great books this week! Eon/Eona has had my eye for a while! It looks like one of those feather extensions except its pink. It's a feather! Haha, I totally remembered that from last week, too. Thanks! ITS a pink feather!!! I was concentrating on the screen the whole time, LOL. I was switching between feather and dyed strip of hair!!! 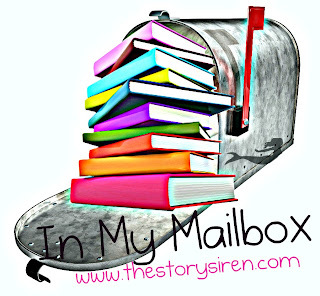 I LOVE that you guys are rocking the audiobooks!